X marks the spot! 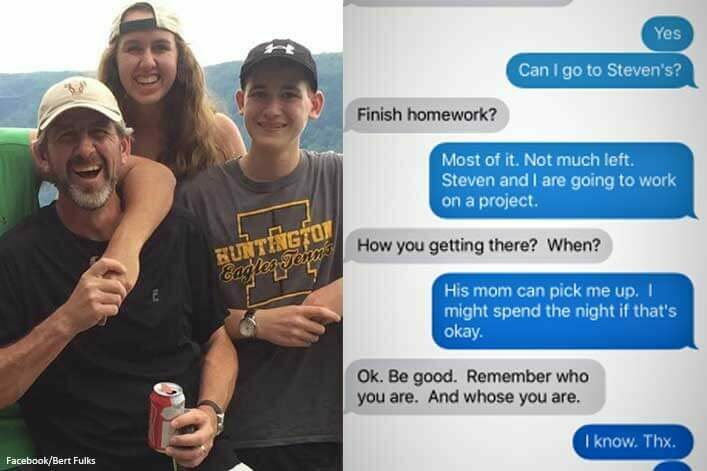 This Dad devised a genius plan that could save your teen from a dangerous situation. As a parent, we never stop worrying about our children. The day they’re born we count all 10 fingers and all 10 toes, and then we count them over again. It’s in our nature to protect the little humans we gave life to. The teen years are a special time. They’re full of dually proud and heartbreaking moments, watching our little babies grow up, make decisions, use their voice. But they’re also a time when things are completely unknown. Our kids are making decisions that year after year, we have less influence in, and it’s inevitable that they’ll end up in a sticky situation from time to time. Bert Fulks knows the feeling well. The minister, who shares his own experiences and parental insight on his blog, spends an hour each week with young people—teenagers—who are going through recovery programs for addiction. Bert says that working with the teens is not only for their benefit, but his as well. Of course as parents, we all understand peer pressure, and remember the days when our world revolved around our social lives. Bert remembers them too, but he realized something that we’ve all been missing: Peer pressure wasn’t really about our peers…it was about our parents. His realization is a perfect depiction of what many of us adults experienced, so there’s no reason why today’s teens would feel any different. A major part of growing up is learning how to navigate uncomfortable situations. 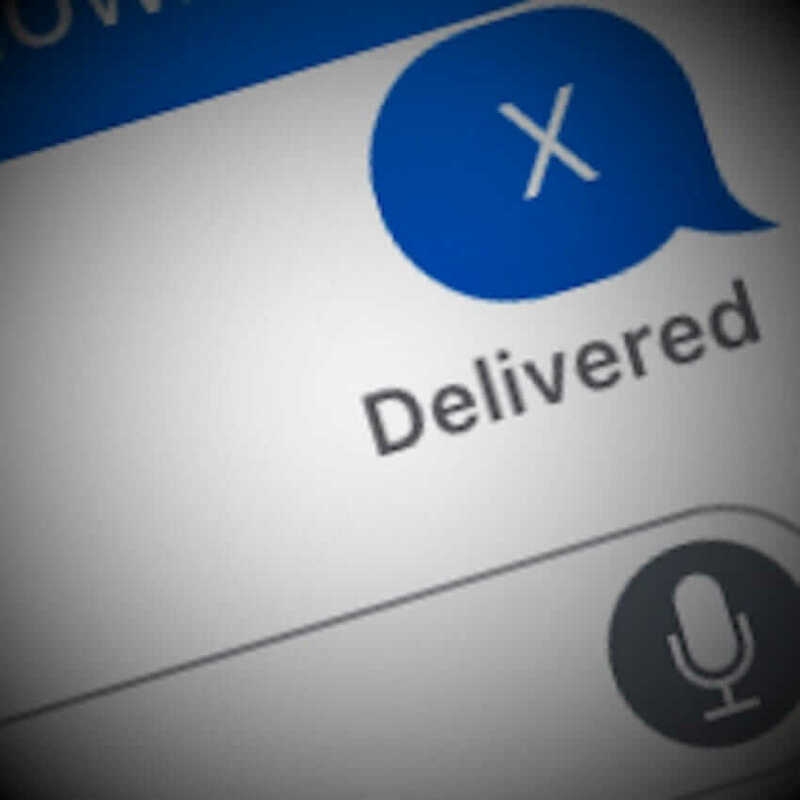 And so began, the X-Plan. Bert came up with a lifeline that his kids are free to use at anytime, and it’s completely changing the parenting game. 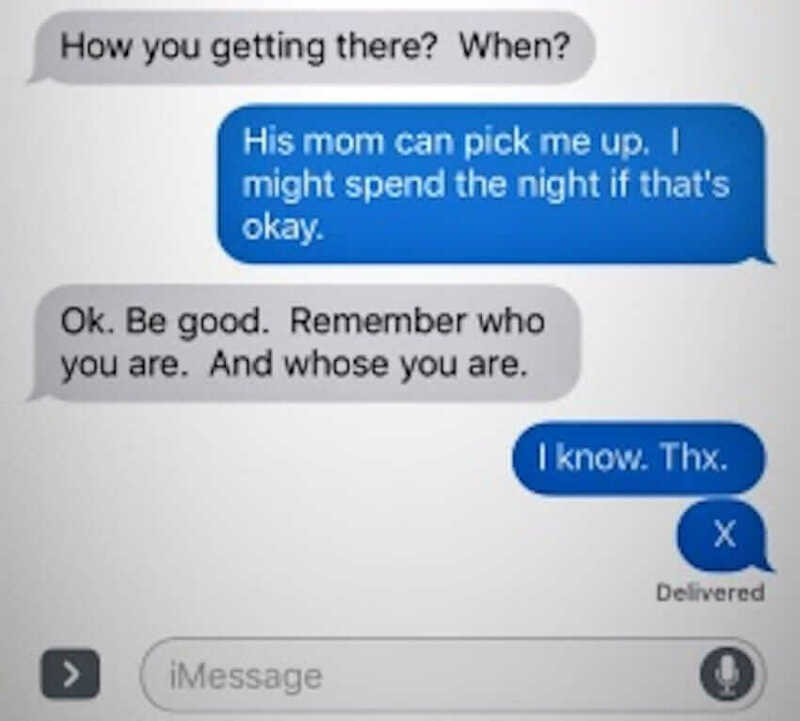 If they need to get out of a bad situation, Bert’s kids have a secret text message they know they’re allowed to send him, no questions asked. Once Danny hangs up the phone, he will tell his friends that something has happened at home, someone is on their way to get him and he has to leave. Bert goes on to explain that there’s one rule to the “X-Plan,” and it’s not for the kids. He emphasizes that the plan is meant to support our teens, and that in order for it to work, and keep working, parents also have to agree to its terms—which can be incredibly difficult for some of us—but Bert has seen first-hand how much trust it builds between parents and kids. Essentially this means that if your teen goes to a friend’s house and drinks a beer before realizing they’re in a bad situation, they still have the freedom and comfort of reaching out for mom and dad’s assistance. Bert stresses that there is one exception to the plan in his family. Technology is always advancing, and with it comes advancements in parenthood: using the technology our kids have access to as a way to build trust, keep them safe and give them the freedom they need to grow into wise adults who learn how to parent well. If the X-Plan is able to get just one kid out of a bad situation, then we’re doing our parts as parents. It’s never easy, but real tools and innovative resources like this one could make a world of a difference in who our children grow up to be. We hope you and your family can have an open conversation, and find honoring ways to integrate this plan into your lives.